GROTON, Conn., Feb. 12, 2019 /PRNewswire/ -- On Friday, 1 February 2019, Congressman Joe Courtney (CT2) visited the headquarters of ThayerMahan Inc. ThayerMahan recently completed a facility expansion which includes engineering spaces and its new state-of-the-art Autonomous Systems Operations Center. Congressman Courtney, who was recently elevated to Chairman of the influential House of Representatives Seapower and Projection Forces subcommittee, is a strong advocate of the Navy in general and undersea forces in particular. ThayerMahan, founded by VADM Mike Connor USN (Ret), is a leading provider of autonomous solutions for government and industry. The new Operations Center will further enhance ThayerMahan's ability to provide its Search-As-A-Service capability to clients – both military and commercial. "Last week I visited ThayerMahan for the third time and, as always, was impressed by this amazing new company," said Congressman Courtney. "Admiral Connor and his team briefed us on the cutting-edge undersea technology research taking place at ThayerMahan, which focuses on the new frontiers of unmanned undersea vehicles, artificial intelligence, and the enhancement of submarine capabilities. His workforce is growing like a weed with smart, talented millennials who are the newest members of the Groton community. 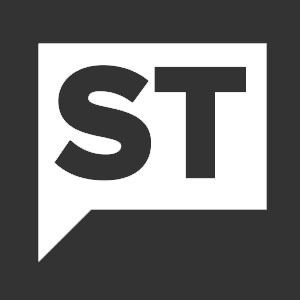 This is exactly the kind of growth that the state of Connecticut is looking for." Congressman Courtney's visit included a facility tour of its new engineering spaces and a demonstration of the Operations Center capabilities. Additionally, Congressman Courtney was briefed on three ThayerMahan systems – Outpost, SeaWatch and SeaScout – that are fully operational after completion of a series of sea trials, demonstrations and testing. Congressman Courtney was also briefed on the burgeoning relationship between ThayerMahan and the State of CT and local municipalities and the programs/opportunities that have incentivized the company to locate in southeastern Connecticut and to continue to grow and expand its presence in Groton. Mike Connor, ThayerMahan's President and CEO said, "We were proud to show Congressman Courtney how our talented team is designing, building, and deploying maritime autonomy at the rapid pace needed for the US to stay ahead of peer competitors. We showed him a prototype system that just completed an 85-day, 3000 nautical mile mission for a government customer. "Groton, Connecticut is the perfect place for our maritime technology startup. We have good access to Navy and Coast Guard technology leaders. There is a rich engineering talent pool. 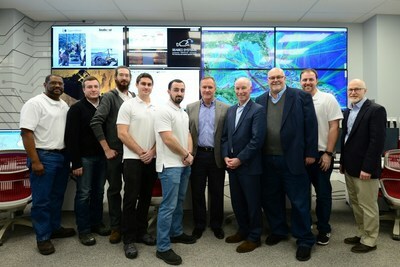 The State of Connecticut, the Town of Groton, the City of Groton, and, of course, Congressman Courtney have all shown that they are serious about supporting the development of the high-tech maritime technology sector in the region." ThayerMahan Inc. is a maritime technology company dedicated to providing its government and commercial clients with turn-key (including deployment, operations, data gathering and analysis services) autonomous marine solutions using state-of-the-art acoustic and electronic sensors integrated on a variety of host platforms tailored to specific mission criteria. The company is headquartered in Groton, CT with satellite presences in Boston and Washington DC. For more information, please visit www.thayermahan.com or contact directly at info@thayermahan.com.